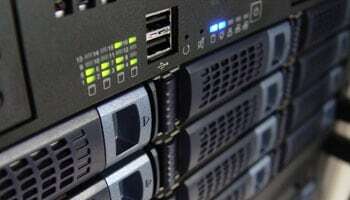 More important than your web hosting company is what you actually DO with your website. Because, after all is said and done, if your website doesn’t help you get more business, or service your existing customers, then there’s no point in having the site at all. Except, of course, because everyone’s supposed to have a website these days. Your site can do so much more than just sit there like an expensive, digital brochure, though. No matter what business you’re in, if your website is built properly, it can attract and create new business for you. It does that by using the following “marketing tools”. Search Engine Optimization To put it simply, SEO is the science and art of building a website that search engines love. Just about every website is about something, but remarkably few websites do a good job of making it abundantly clear to the search engines what they are about.As a result, when someone searches Google or Yahoo or Bing for something, those search engines skip over the sites that aren’t put together well, and rank on page one those sites that make it obvious.It’s simple, and oddly overlooked by far too many businesses. Link Building Once your site is built so that a Search Engine can easily understand what it’s about, there is one other element necessary for the site to rank consistently high for its most important keywords.The search engines count links to your website as “votes” about the importance of your site. The more votes (and the more apparent it is to the Search Engines what your site is about) the higher it will rank.Ah, but all votes aren’t created equally. Some votes are more valuable than others (and some votes can be so dangerous to your rankings that you don’t even want them). That is why it is our job to make sure you get high quality votes for your site. Website ConversionWebsite Conversion is the process of crafting your website in a way that turns visitors into buyers. Whether you call them ‘customers’ or ‘clients’, what you want are more people giving you money.We’re VERY focused on that, on your behalf.I’ve written one of the best selling ebooks on Landing Page Conversions. I’ve sold thousands of copies of the Landing Page Cash Machine, and the owners of some very popular websites have engaged me to help them sell more of their stuff.I can help you, too. So that’s why I say that web hosting is not your most important decision. Deciding who is going to help you make money with your website is a far more important choice. I think you’ll be extremely happy if you choose Mark Widawer (that’s me!) and West Hills Web.